ID: Single spine on nose with black outline along dorsal. Hard, armored body. Comments: I rarely note the armored blacktip poacher. 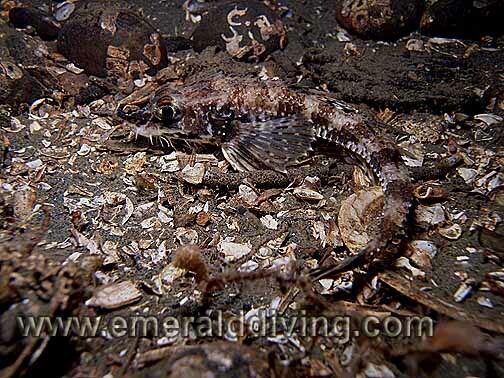 When I do note this species, it is usually during night dives indicating that it may be nocturnal. Like the other poaches, the blacktip remains completely motionless when approached. ID: Two blunt spines on the end of the snout. Hard armored body. Comments: I note the northern spearnose more often than any other species of poacher. 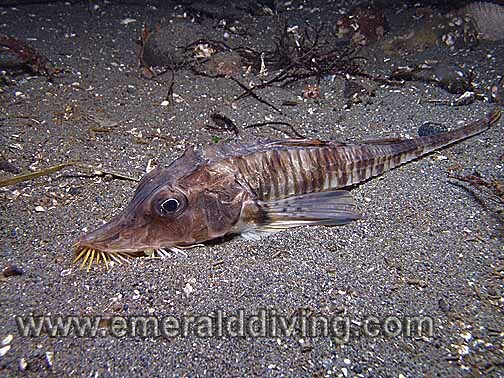 With its unusual looking snout, the this poacher is easily distinguished from other species. I can sometimes gently slip my hand under this poacher and pick it up as its defense mechanism is to remain motionless. ID: Long snout and high forehead. Pronounced whiskers. Hard plates along body. Comments: The largest of the poachers in our water, I only occasionally run into sturgeon poacher. 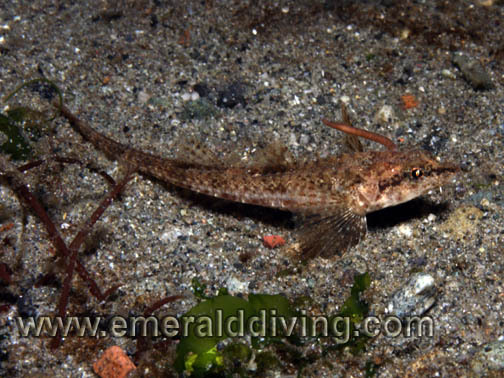 Like other poachers, I most often note this species on night dives, indicating that it might be nocturnal - or maybe I just pay better attention at night. With its armored body, the sturgeon poacher makes like a rock and remains motionless when approached. 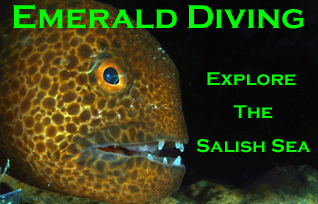 ID: Long slender armored body with protruding lower jaw two dorsal fins. 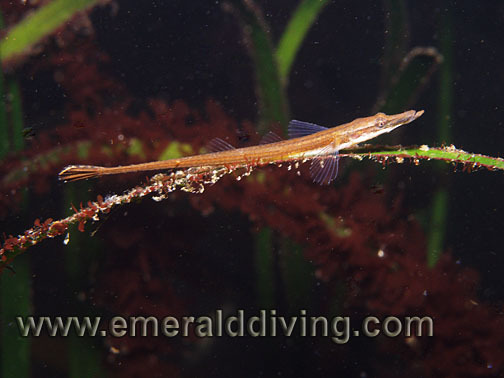 Comments: The tubenose poacher prefers the shallow confines of eel-grass beds and can often be seen resting on eel-grass blades as pictured here. 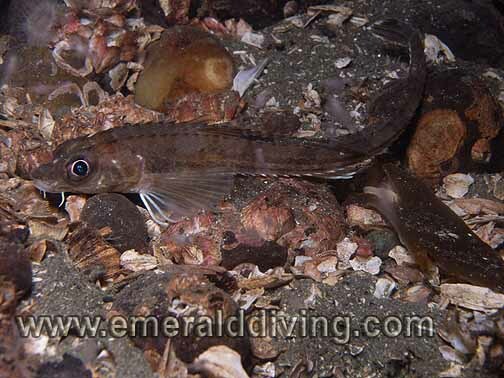 I often note this fish when shore diving Sekiu Jetty Rocks, which is where this photo was taken. ID: Indentation at the beginning of the plate behind the head and single cirrus at the corner of the mouth. Comments: This small poacher only has one whisker at the corner of each side of its mouth. Note the leach affixed to the top of this poacher's head. I find these poachers in abundance in summer months at Three Tree Point.